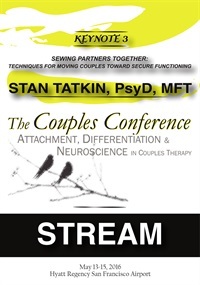 This one-hour presentation will demonstrate cross-dialogic and other strategic techniques for shepherding couples toward secure functioning, an attitudinal and behavioral expectation that couples operate as a two-person psychological system. 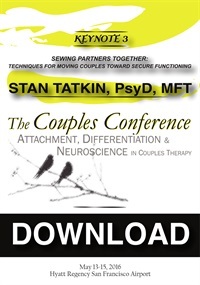 Because the concept of secure-functioning is principle based and not personality based, the success of secure-functioning relationships does not depend upon attachment orientation. 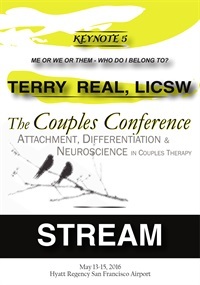 The presentation will endeavor to help the clinician utilize psychobiological strategies to help clarify partner attachment strategies, true desires, and unspoken agendas in couple therapy. 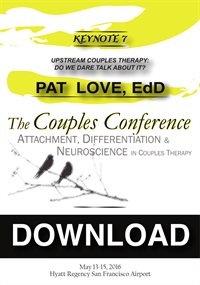 There is a deafening silence concerning mate selection in relationship therapy. Do we dare talk about what research says works–and doesn’t work? 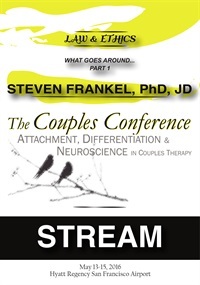 Are we afraid any insight might be used to justify leaving a good-enough relationship? While we all know relationships which defy logic, there are clear principles which can increase the probability of a more perfect union. These and other research facts will be explored. 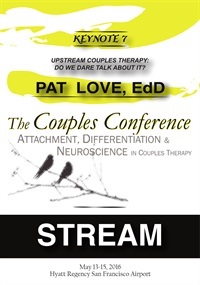 CC16 Keynote 07 - Upstream Couples Therapy: Do We Dare Talk About It?